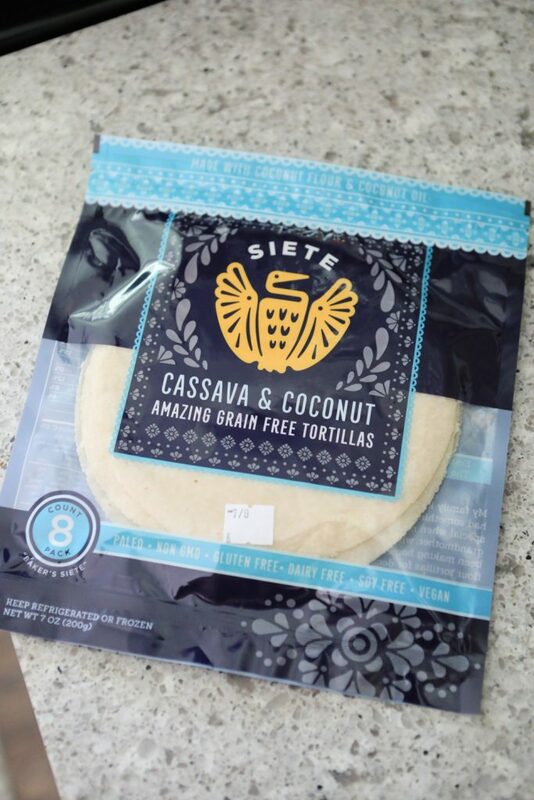 I’m sure I’m not the first person who thought about making Taquitos when they first tried Siete’s tortillas. 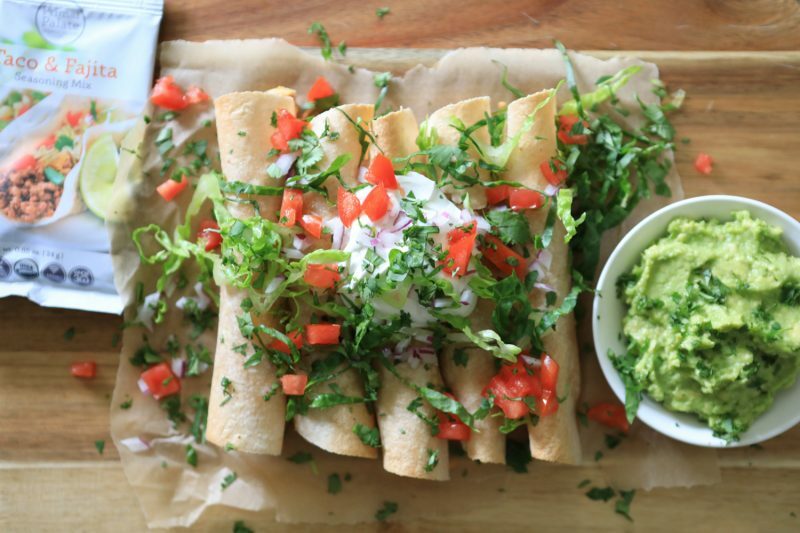 I have wanted to make Taquitos FOREVER, but never did. I am pleased to say that they turned out perfectly, and I can’t wait to try different flavor variations. I’m not sure that taquitos are usually seasoned with Taco seasoning, but I used our Taco Seasoning to season the chicken, and it was delish! 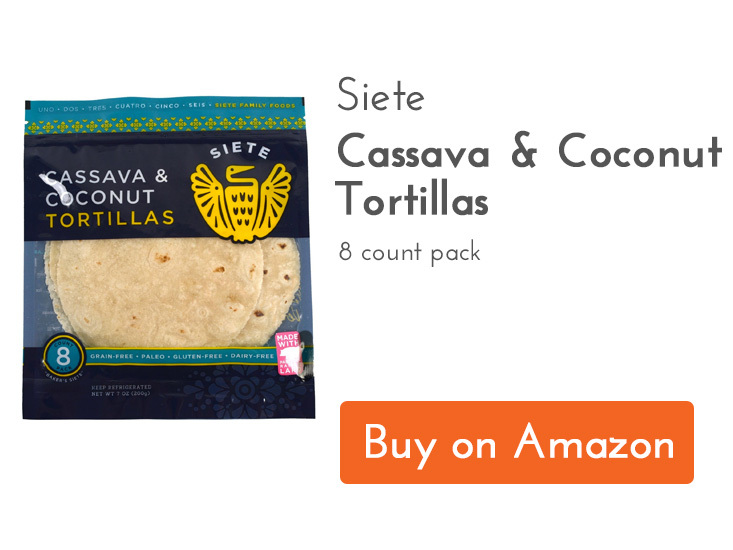 I definitely recommend using the Cassava and Coconut Siete Tortillas for this recipe. I know they are carbier than the almond flour ones, but they have more stretch to them, and I think the almond flour ones will break when you try to roll them. The cassava tortillas worked perfectly for this recipe. 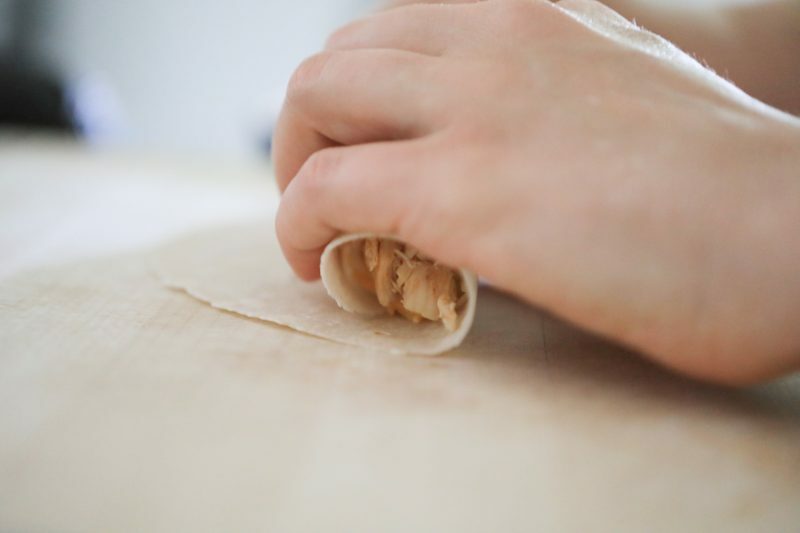 I tried to short-cut things and skip warming the tortillas prior to rolling, and they broke, so you definitely want to heat them so they are more pliable prior to rolling. 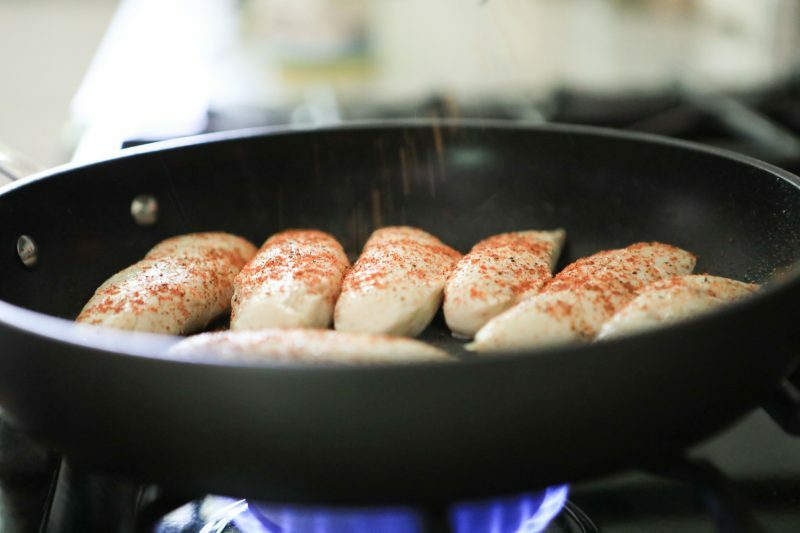 As long as you don’t skip this step your Taquitos will turn out perfectly! I did use real cheese in this recipe. I feel like it helped the Taquitos hold their shape by acting as a melty cheesy clue in there. 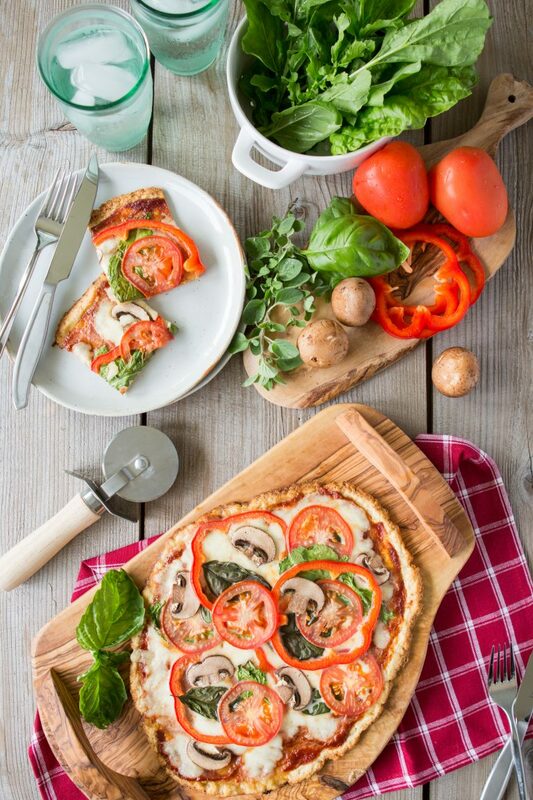 You can eliminate this step if you wish, or use a dairy free cheese that will melt, but it may not turn out the same way. The best part about this recipe is topping the Taquitos with tons of colorful and flavorful ingredients. 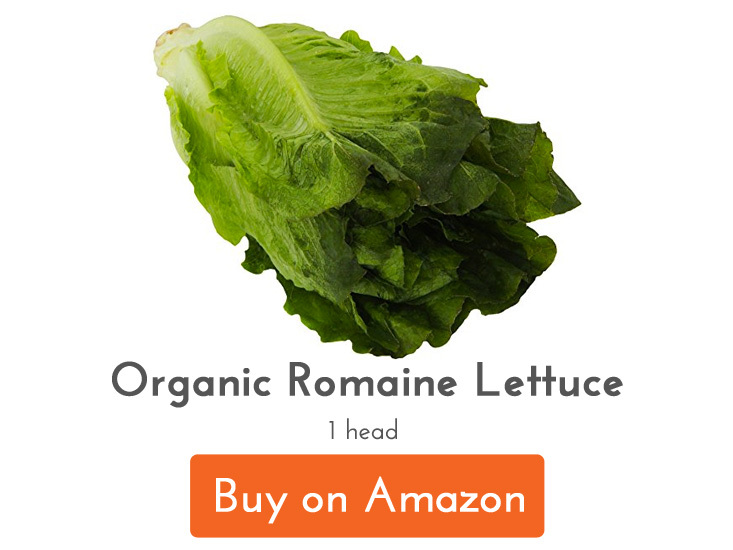 We used sour cream, shredded romaine lettuce, diced red onion, cilantro, guacamole, and diced tomato. This recipe was fun to make, and so much fun to eat! 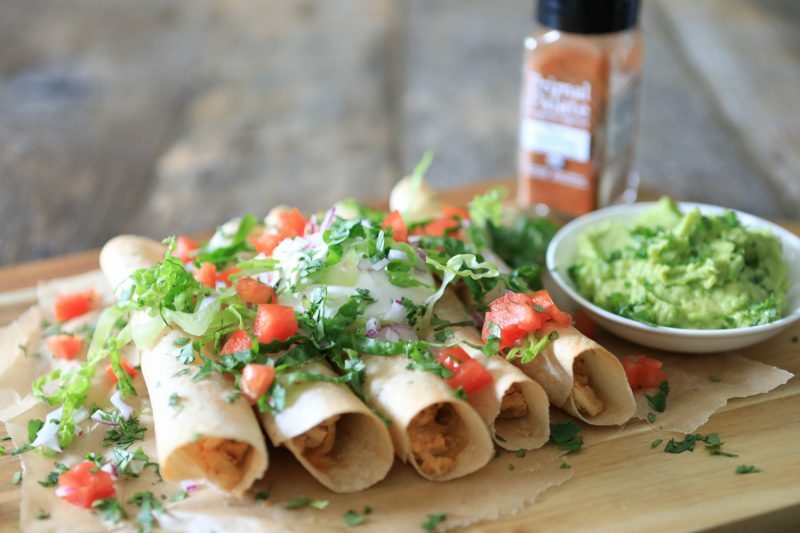 I highly recommend spicing up your next Taco Tuesday by making this recipe instead! The best part about this recipe is topping the Taquitos with tons of colorful and flavorful ingredients. We used sour cream, shredded romaine lettuce, diced red onion, cilantro, guacamole, and diced tomato. 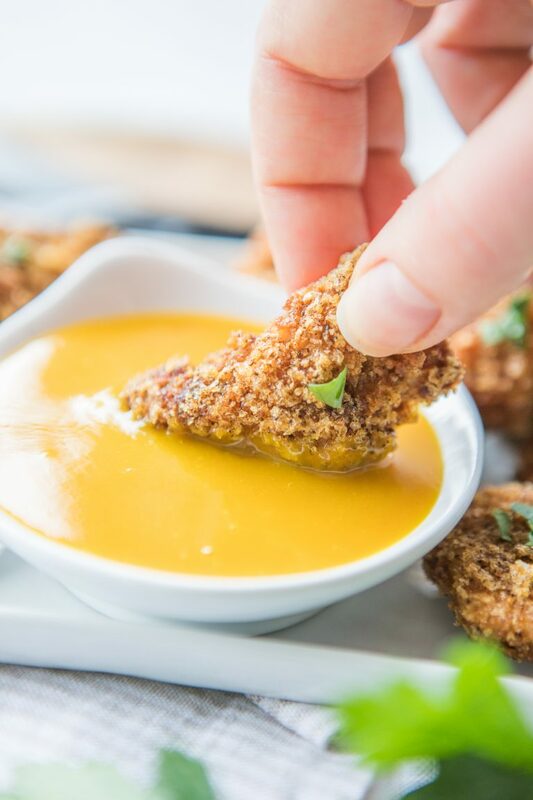 This recipe was fun to make, and so much fun to eat! 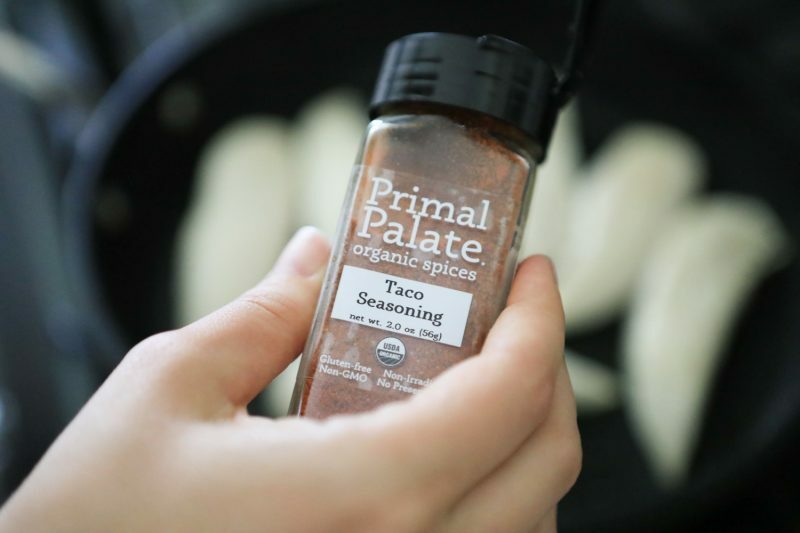 I highly recommend spicing up your next Taco Tuesday by making this recipe instead! 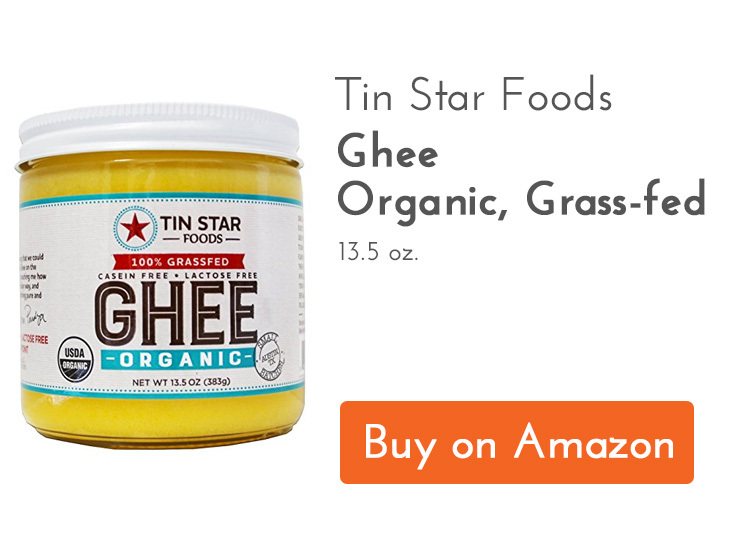 Heat the ghee in a skillet over medium heat. Add the chicken, and cook for about 6 minutes (until no longer pink and cooked through). 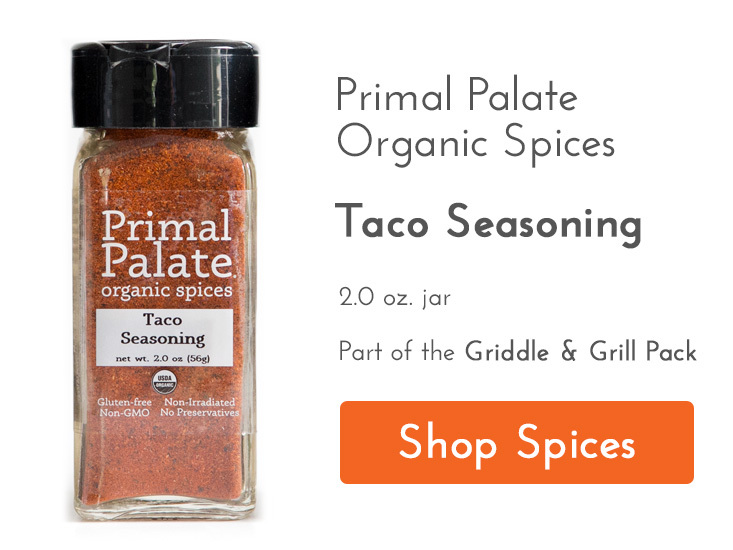 Season with the Primal Palate Taco Seasoning, cook an additional minute, and then set aside. 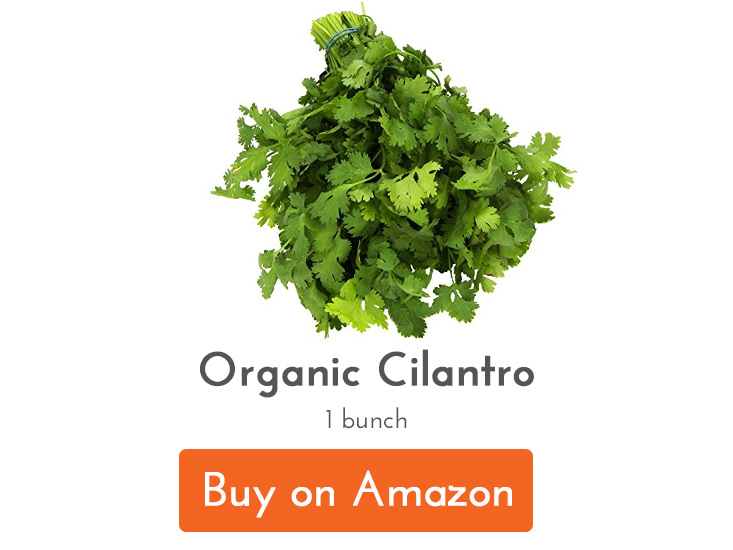 While the chicken is cooling, prepare the romaine, onion, cilantro, guac, and tomato. Dice the chicken once cool to the touch. Warm the tortillas one at a time. 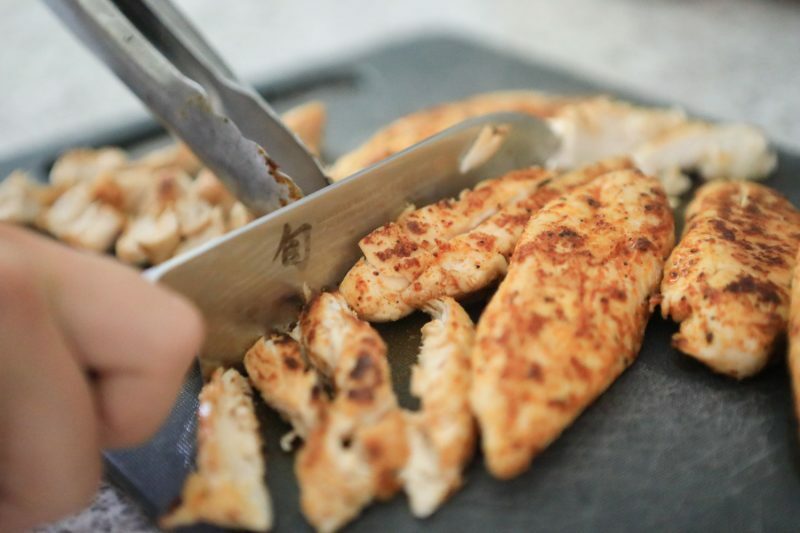 Once warm and more pliable, place the tortilla on a flat cooking surface, and add two tablepsoons of chicken along the length of the tortilla. Top with about a teaspoon or two of shredded cheese, and roll up. 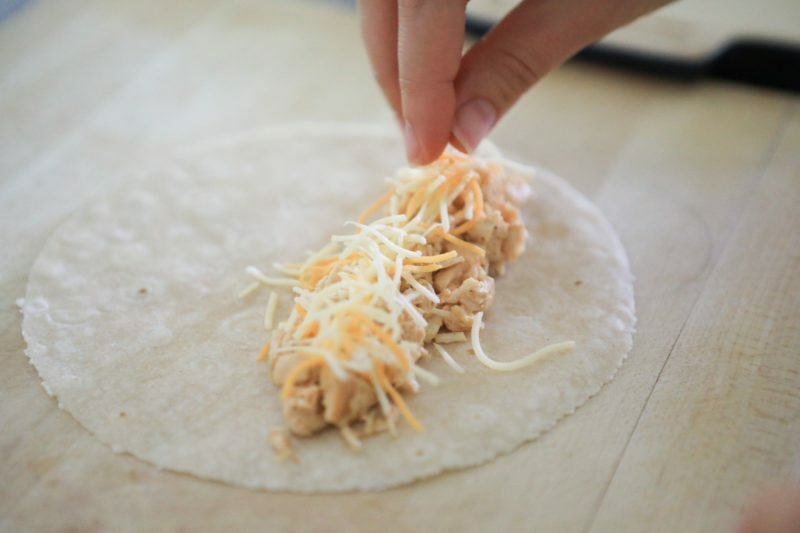 Place the rolled tortilla into an 8x8 baking dish, and repeat with the remaining tortillas and chicken. 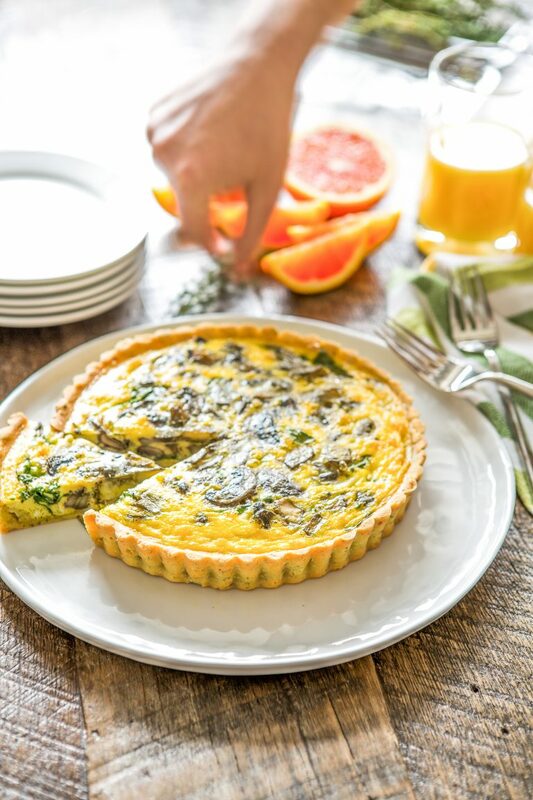 Place the baking dish in the oven, and bake for 10 minutes. 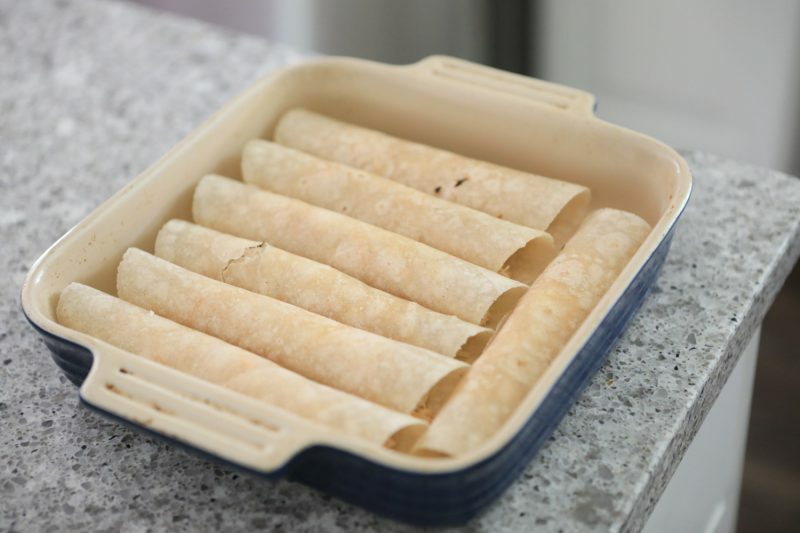 Remove from the oven, and brush the tops of the taquitos with ghee, and bake for a remaining 10 minutes. 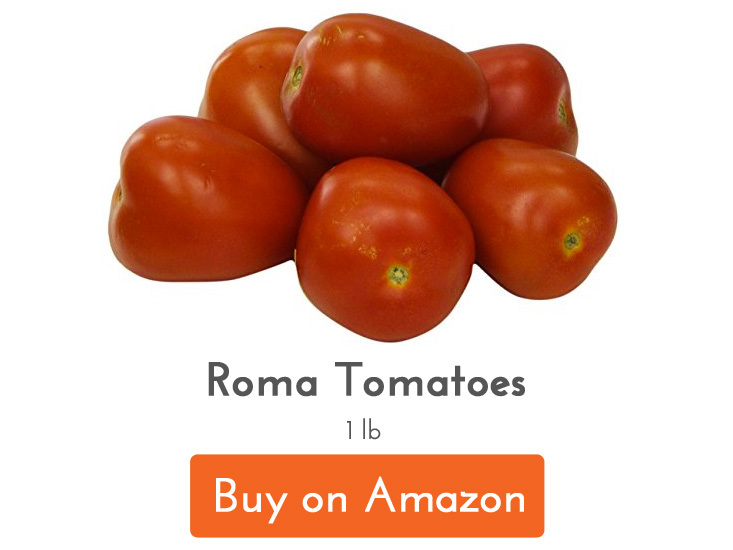 Top the taquitos with sour cream and/or guac, romaine lettuce, red onion, cilantro, and tomato.